Neuropathic pain is a localized sensation of unpleasant discomfort caused by damage or disease. It is recognised as distinct from nociceptive pain. Nerve damage sets in motion multiple complex, pathophysiological mechanisms, leading to the development of NP. Changes in receptor channels located in nerves and the spinal cord, and changes in chemical levels in the peripheral nervous system (PNS) and the CNS have been identified, but mainly in animal models. These do not entirely reflect the human situation, but give some insight into pathophysiological processes and suggest molecules that may modify these processes, which might result in the development of analgesics usable in humans. The processes result in peripheral and central sensitisation of the nervous system and ultimately, NP. Structural changes have been found in neuronal sodium channels, for example, from rat models in which sciatic nerves have been damaged. These changes result in functional changes, easily demonstrated by electrophysiology. Reduced firing thresholds, higher firing frequencies and more rapid recovery from inactivation lead to changes in nerve activity, such as continuing spontaneous activity, abnormal excitability and increased sensitivity to chemical, thermal and mechanical stimuli. This is an example of peripheral sensitisation. One factor involved in central sensitisation is the activation of NMDA receptor channels by repetitive painful stimulation. This results in facilitated transmission of pain signals or 'wind-up'. Combined with altered functioning in some spinal cord neurones and central structures, this leads to central sensitisation, when incoming signals are misinterpreted as painful (allodynia) or more painful than they actually are (hyperalgesia). The prevalence of NP is 6-8% in the general population,2 but associated factors are advancing age, female gender and lower socioeconomic groups. It is more common in certain conditions, such as diabetes (16-26%) and shingles (8-19%). The most common causes are radicular pain from spinal pathology or after trauma or surgery. The diagnosis of NP is made by taking a careful clinical history and by examination. 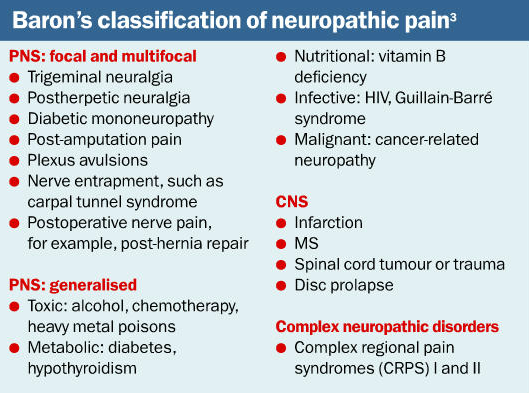 Certain key features in the patient's description of their pain and the clinical examination will lead to a diagnosis of NP. The diagnosis may be supported by the use of validated tools to assess NP, for example, the Leeds Assessment of Neuropathic Symptoms and Signs (LANSS)4 or the painDETECT5 questionnaires. These tools have about 80% accuracy. A patient will describe pain arising from an area of altered sensation, which may feel numb or be hyperexcitable. There is often an element of spontaneous unprovoked pain and there may also be abnormal responses to both painful and non-painful stimuli. Sometimes patients are uncomfortable describing the abnormal sensations they experience and quite colourful descriptions may ensue. Sensations have been described as 'spiders walking up my legs wearing hobnail boots', 'like shards of glass under my skin' and 'like water trickling down the inside of my skin'. Other descriptions include burning, tingling, lancinating and numb. Autonomic dysfunction can be associated with NP and patients may describe skin temperature changes, sweating or hair and nail changes. Motor weakness and muscle wasting can accompany other symptoms. Clinical examination must include comparison of the affected area with an unaffected adjacent or contralateral site, and a thorough neurological examination. Allodynia is pain evoked by a stimulus that is not normally painful, such as stroking the skin with cotton wool. A patient with allodynia may have extreme discomfort from the light touch of clothing. Hyperalgesia is a response of exaggerated severity following a noxious stimulus and can be elicited using a blunt pin. Depending on the nature of the problem, tests may include neurophysiology, MRI and blood tests. For a patient presenting with numb, painful feet, simple blood tests for diabetes, TFTs and vitamin B12 levels would be a good start, with nerve function tests to confirm the nature of the neuropathy. Any further investigation can be arranged by the neurology department. It is important to remember that chronic pain of any kind is a complex bio-psycho-socio-cultural phenomenon and therapeutic strategies may need to address every aspect. A tailored, multimodal management plan might include pharmacological and non-pharmacological strategies, the aim being to manage, rather than cure, the pain and to preserve function. Physiotherapy can be essential in addressing functional compromise and specialist physiotherapy may offer particular techniques, such as mirror box work for phantom limb pain or CRPS. TENS and acupuncture may be worth trying. Psychological therapies include a range of behavioural and cognitive interventions, with the aim of providing additional coping strategies and addressing any less helpful thought processes and ideas the patient may have. Examples are CBT, acceptance and commitment therapy, and mindfulness. Careful patient counselling and regular clinical review are recommended, to facilitate dose titrations as well as to assess effectiveness, tolerability and adverse effects. Slow titrations of low doses of drugs are best tolerated, but therapeutic doses may take weeks or months to achieve and patience is often necessary. A specialist pain clinic will be able to advise on other medication, including neuropathic agents and opioids. It may also offer invasive therapies, such as nerve blocks or neuromodulation. Neuromodulation techniques include spinal cord stimulation systems and intrathecal drug delivery systems for refractory cases. Ablative procedures may sometimes be offered, such as cordotomy for cancer pain and chemical sympathectomy for vascular pain. Neurosurgical techniques include microvascular decompression for trigeminal neuralgia and dorsal root entry zone lesions for brachial plexus avulsion injuries. The NICE guidelines6 for pharmacological management of NP in the non-specialist setting were published in November 2013 and are due for review in December 2015. They recommend offering a choice of four drugs - amitriptyline, duloxetine, gabapentin or pregabalin - except for patients with trigeminal neuralgia, when carbamazepine is advised. If one drug is not tolerated or is ineffective, another should be chosen from the list. Tramadol is advised only for acute rescue therapy. Capsaicin cream can be considered for patients with localised NP who wish to avoid or cannot tolerate oral medications. No other drugs are recommended, unless advised by a specialist unit. 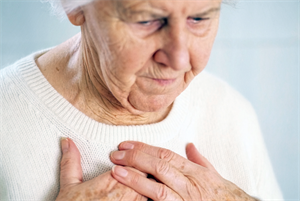 NICE recommends referring patients to a specialist pain clinic or other condition-specific service if the pain is severe or lifestyle limiting, or their underlying health condition is deteriorating. The relevant specialty - neurology, chronic pain management, rehabilitation and neurosurgery - should be able to advise on management. Referral to a tertiary centre may sometimes be useful - there are specialist centres for facial pain, for example. Neuropathic pain is commonly permanent and the aims of treatment are to manage, rather than cure, the pain, and to preserve function. Regular follow-up to monitor pain and function is essential. Identifying problems and instituting management early give a greater chance of efficacy. Managing underlying conditions, such as diabetes, can prevent progression of symptoms. Tapentadol, which is licensed for diabetic peripheral neuropathy, may have a role in other NP conditions. It is more potent than tramadol, but with fewer side-effects than the strong opioids. Although 8% capsaicin patches have been available for years, they are not widely used. Capsaicin binds selectively to transient receptor potential vanilloid type 1 receptors on pain and temperature neurones. This activates a calcium channel (normally heat activated, hence a common sensation of burning). The influx of calcium inactivates the nerve and leads to depletion of the pain neurotransmitter substance P. Patches are only suitable for well-defined areas of NP, but can provide three months of pain relief. Spinal cord stimulation is a developing area of chronic pain management and has been used very successfully in some types of NP, such as failed back surgery syndrome and CRPS, which are now recognised indications for considering the procedure. Current systems involve implanting epidural electrodes and using low-frequency (tingling) stimulation or burst stimulation, or high- frequency (imperceptible) stimulation. A dorsal root ganglion electrode can be hooked around a single or multiple nerve roots and cover an area of hand or foot pain. 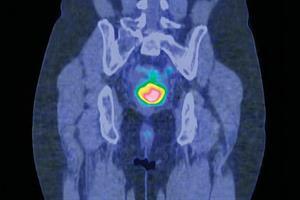 Sacral electrodes target pelvic pain. Peripheral nerve stimulation techniques are also being developed. Occipital electrodes are being used for headaches and occipital neuralgia. In future, electrode systems may be able to cover individual nerves. A 50-year-old woman presented to her GP two weeks after a fall and a minor shoulder injury. Her shoulder pain continued after physiotherapy, anti-inflammatories, weak opioids and paracetamol. Her GP referred her to the musculoskeletal service, which organised an ultrasound scan of her shoulder. This was reported as normal. She was then referred for orthopaedic review. By the time she attended the orthopaedic clinic, her pain had spread to the whole arm and hand, but the hand had become numb and sore to touch. The arm was swollen, shiny and cold, as were the fingers, which were stiff. The possibilities of thoracic outlet syndrome and CRPS were considered. 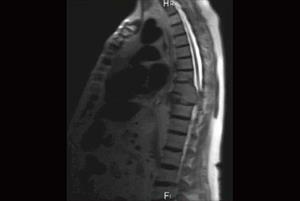 MRI scans of the cervical spine and the thoracic inlet were unremarkable, and the patient was referred to the pain clinic. On initial assessment, her pain symptoms had become focused in the hand, which was swollen, white, cold and hairless, with evident muscle wasting and fingers held in partial flexion. Allodynia and hyperalgesia were noted on sensory testing in the hand and variably up the arm. A diagnosis of CRPS type 1 was made. The patient had a series of stellate ganglion blocks and was referred to a specialist physiotherapist for mirror box work. The blocks were helpful in terms of pain management, but her fingers became progressively more stiff and difficult to straighten. She was listed for a guanethidine block with prilocaine in an attempt to overcome this. This was temporarily helpful and she was able to straighten and move her fingers with the aid of physiotherapy. Ten months later, she had developed fixed flexion deformities of all of her fingers, with established symptoms and signs of CRPS. A high-frequency spinal cord stimulator was implanted shortly after this. Over the ensuing months, her pain has largely resolved and the obvious features of CRPS have disappeared, except for the fixed flexion deformities of the fingers, which remain. Toth C. Pregabalin: latest safety evidence and clinical implications for the management of neuropathic pain. Ther Adv Drug Saf 2014; 5(1): 38-56. Contributed by Dr Louise Lynch, consultant in chronic pain management at Leeds Teaching Hospitals NHS Trust. 1. Treede RD, Jensen TS, Campbell JN et al. Neurology 2008; 70: 1630-5. 2. Torrance N, Smith BH, Bennett MI et al. J Pain 2006; 7: 281-9. 3. Baron R. Nat Clin Pract Neurol 2006; 2: 95-106. 4. Bennett M. Pain 2001; 92: 147-57. 5. Freynhagen R, Baron R, Gockel U et al. Curr Med Res Opin 2006; 22: 1911-20. 6. NICE. CG173. London, NICE, November 2013. 7. RCP. Complex regional pain syndrome in adults. UK guidelines for diagnosis, referral and management in primary and secondary care. London, RCP, 2012. 8. NICE. TA159. London, NICE, October 2008. Organise a clinical meeting with the local neurologists to discuss any complex cases of neuropathic pain. Conduct an audit of patients with diabetes who have been actively asked about neuropathic pain. Review amitriptyline, pregabalin, gabapentin and duloxetine use for neuropathic pain in primary care, in line with NICE guidance.